Control storage resources and secure corporate file assets. Think of us as the camera in the office supply room. Right now, a storm of insider threats is brewing – right under your nose. Your storage resources and file assets are being exposed to waste, theft, loss and misuse by the very people who are responsible for taking care of those resources and files. Left alone, those threats result in revenue loss and put risk at the forefront. It’s your job to know it and stop it. Enforce file management policies with automated alerts and actions. Watch users and file locations for abnormal behavior. 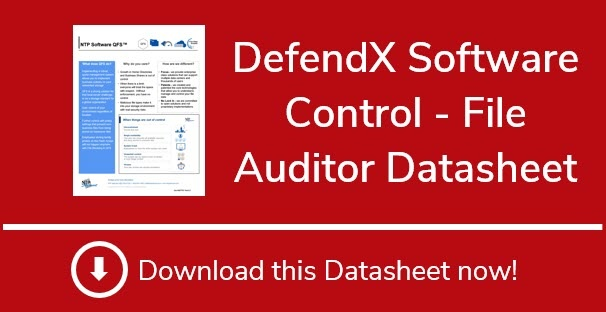 Enable complete audit trails for file and user activity. Enforce legal hold orders by restricting file access and activity. 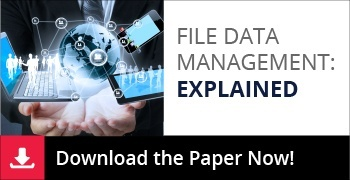 Prevent unwanted file types from being stored on corporate file shares. Restrict storage resource consumption by user or organizational department. 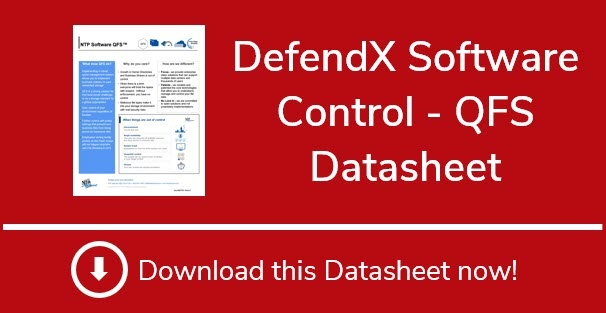 From technical documents to white papers, we have everything you need to learn more about DefendX Control and all of our other products and solutions.